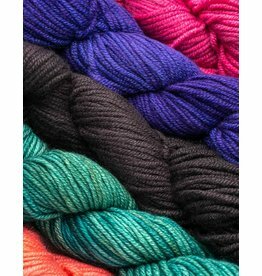 Jade Sapphire Yarn produces the finest of quality cashmere and other luxury fibers that compliment cashmere’s softness and luster. 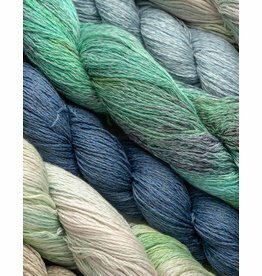 Hand-dyed to perfection, you’ll fall head-over-heels in love with the touch and drape of Jade Sapphire Yarn and want to make anything worn next to the skin out of it. 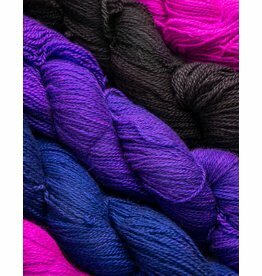 Jade Sapphire Exotic Fibers has taken cashmere out of the closet, removed the string of pearls, freed it from the twin set, and brought it to the knitters of the 21st century. 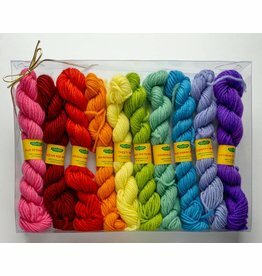 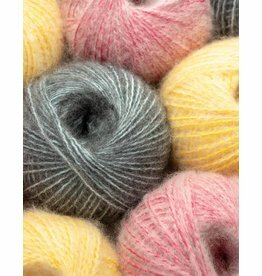 This is an exceptional quality 8-ply (Aran weight) cashmere, and offers great value too as the yardage is approx 100 yards per skein.